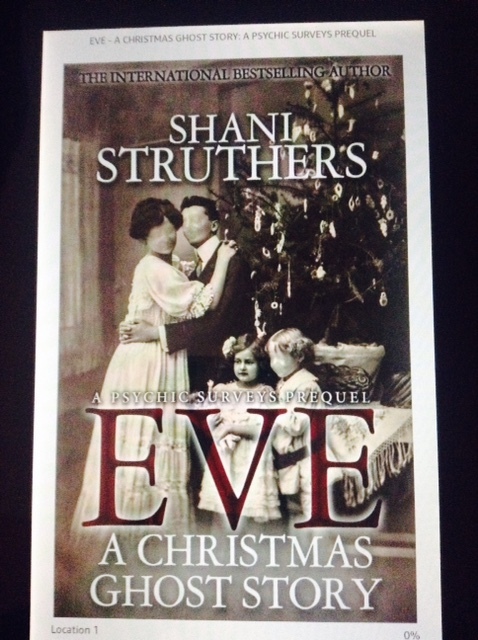 Eve: A Christmas Ghost Story:A Psychic Surveys Prequel. I came across Eve: A Christmas Ghost Story while checking my Facebook feeds and was very much drawn in by the book’s cover. It reminded me of an old spooky photograph that had been found in a forgotten place. So I thought why not give this book a try. I’m really glad I did. The story of those who died and was still holding on in the spirit world was heartbreaking. This book was also packed with very heavy emotions. And the character in this book were really captivating and leapt off each page. It’s very easy to get lost in each ones back story and feelings throughout. The story itself is about Theo and Ness as they are asked to help in the town of Thorpe Morton, where years back a tragic advent took place at a Christmas party for miners and their families that left many people dead and the survivors and generations after with hurt, grief and anger. Now Theo and Ness has to spiritually battle against the darkness and lead those who are still afraid past the flames of their death and in to the light of the life after. Will they be able to help everyone before Christmas is over? Or will those souls still be stuck in a loop of fear and sadness? Read this emotional, but gripping book to find out. I was in tears by the end, especially the scenes with Harriet, Edna and Ruth. They were really well written and each scene was very easy to picture in my mind. I could also feel the emotion of what was happening to them all. I thought Edna was quite a character. I loved how she spoke and her quiet, misunderstood way about her. I also loved the friendship between Theo and Ness, and the way Theo when dealing with the dark energy that a lot of the time fed into her fear of spiders did in the end see them in a much more harmless light. If you have a strong phobia of spiders this book may not be for you. As it does have quite a few spidery type scenes. I would recommend this book if you enjoy reading stories with spirits and the supernaturally. And like great character with emotional scenes, mixed with hope that one day they would all find their happiness and be able to move on. ← Marry Mistletoe (Kindle Single) Author Emma Davies. I haven’t read Eve yet, but I have read and enjoyed most of Shani’s other books and Psychic Surveys are my favourites. I think your review was honest but beware of one star review trashers marking it unhelpful. .
I’m glad you felt my review was honest and thank you for taking the time to read it. This is the first book I’d read written by Shani and I really enjoyed it. My pleasure, I really did enjoy Eve, it was one of those book that will stay with me long after reading it. I do tend to get through books quickly when I’m gripped by the story or characters. And I really did need to know how Eve ended or it would of been on my mind. Congratulations on your new release. I hope you have a lovely week. Great review – I like ghost stories, so I might give this one a try! I hope you’re having a great week and thanksgiving. I thoughts so too, one of those covers you won’t forget in a hurry. 🙂 Shudder spiders here too.. haha! !